What is the Odinic Rite? 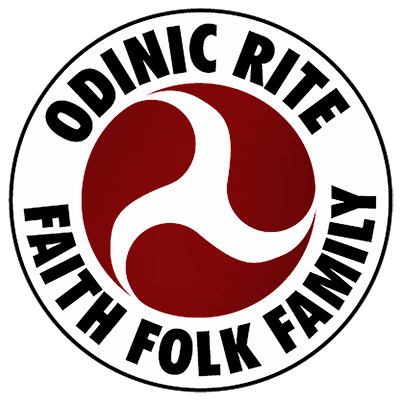 Why join the Odinic Rite? There are many benefits that come with membership of the world’s longest running, continually active Odinist movement. Some can be easily named, as below, but others must be experienced and will vary depending on the individual and how much they wish to advance both themselves and the Odinic Rite. OR membership gives you access to a worldwide community of like-minded individuals, families and hearths. Our rituals and practices facilitate spiritual advancement for those who take the opportunities available. Access to the OR’s online members’ forum, our virtual community bringing members together from around the world. The OR’s quarterly e-publication with articles, reports and other member submitted content & for the children, the OR Kids bulletin. Local, regional, national and international events such as hearth blots and social events, camps, moots and the annual OR Great Moot. The OR incorporates various sections set up to support or promote different aspects of our faith and OR family. Music, video and inspirational audio from the OR, supporters and friends. Preservation of our folk inheritance; health, environment, heritage, history and culture. Educational resources for parents and children. From tiny acorns grow mighty oaks! The health and well-being of our folk; martial skills, health, fitness and survival. Our Prison Affairs Bureau supports incarcerated Odinists seeking a positive change. Like what you see? Apply to join us and you could be a part of it! The OR has really provided a loose but structured guidance that has proven itself to be the model for both individuals and families looking to return to their ancestral religion; it truly is the embodiment of Odinism in the modern world. The OR is my refuge having given me the spirituality and re connection with my ancient faith that I longed for and the community, strength and purpose for which I’ll always be grateful. When I found the Rite, it opened up a spiritual pathway I never thought possible. I had goals and drive and determination once more and the OR gave me a compass to guide me on my journey. I joined in 1991 and feel that I have found a family and have grown in spirit. I have not met an OR member that I would not trust my life with. Being an isolated Odinist for years, I came across the Odinic Rite who offered not only deeper insights in Odinism, but it also opened up a whole world where I came to realise I wasn’t as alone as I had come to believe. I loved the pan-Aryan focus of the rite along with the pan-Germanic tradition, the sense of camaraderie and professionalism. I immediately took to its international structure and hospitality to incarcerated members. We need a shield wall! Hail the Rite! The OR is a forward thinking organisation, seeking to continually advance our religion; something we can all play an active part in. Over the last few years I have become a much better person and I have the OR to thank for that. The O.R. is an organization founded on strong folkish principles and does not try to gain popularity by compromising these ideals. Since joining the O.R. I have gained a wealth of knowledge in Odinism through the O.R. forum and have begun the Odinist Theology & Philosophy Basic Foundation Correspondence Course. I eventually joined after great thought was given in which direction I was taking in my faith. As I often say, “all roads lead to now” and I have yet to be disappointed with the road that has taken me to the OR. Hail the Awakening, Hail our Folk. On joining the OR I was given a warm welcome and could feel I was amongst like minded folk. The OR has assisted with my spiritual growth and was there to answer any questions I had as well as leading me to some firm friends; I came home.me. I feel that I have met a good group of like minded people that I look forward to spending more time with. I have also broadened my understanding of Odinism through the correspondence course and interactions with the good Folk of the OR. I am a former incarcerated member of the OR who joined sometime in 2006. I met members of Blod Tru Hearth AOR; the Rite’s first prison Hearth and I was very impressed with the standards they upheld and their integrity. I had been a solitary Odinist since 1999, and the more I learned about The Rite, the more I learned a more advanced and heartfelt approach to being an Odinist in the Modern World. In the OR I have met comrades and found family. Folk we had never met before invited us into their homes as we made a cross country trip, and have reached out to provide support to us in times of need. The OR is truly family and a bastion of faith and lifelong learning for me. I was searching for a place where my family and I could develop spiritually, both exoterically and esoterically. We found all that and more in the Odinic Rite! Through membership within the Rite and the formation of The Northern Winds Hearth OR, we continue to grow with our advancements in NY State.